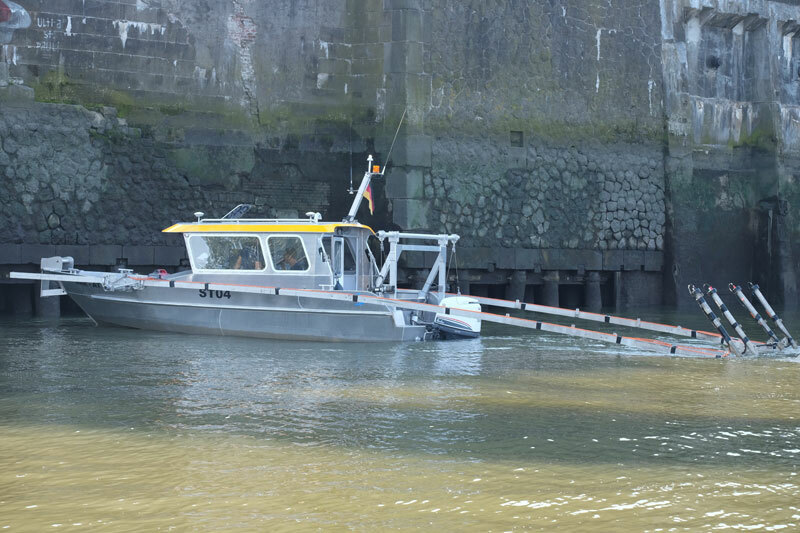 SeaTerra GmbH has been working on UXO survey projects in rivers, lakes and ports all over Europe since 2003. We offer flexible sensor platforms in combination with different sensors. An effective combination of accurate sensors and DGPS electronic surveying technologies ensures that suspected sites can be relocalised safely and efficiently at a later time when recovering UXOs. 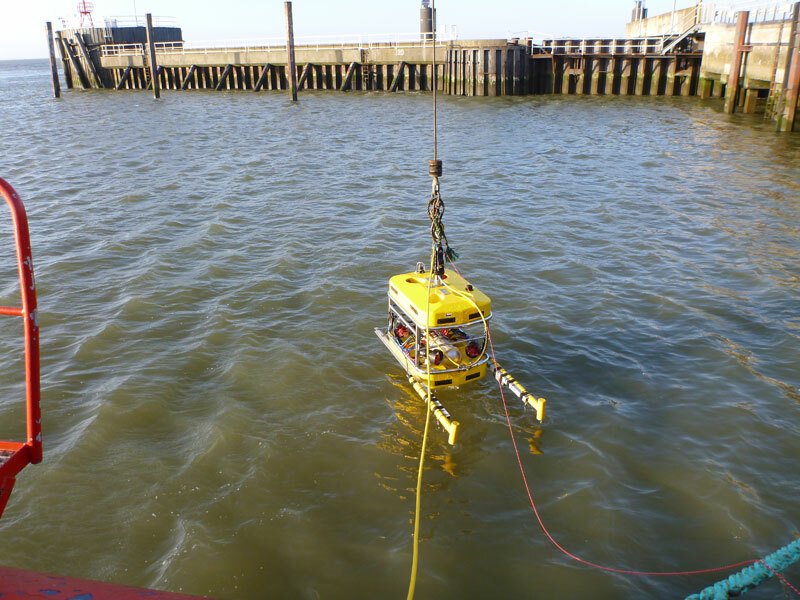 SeaTerra uses "diving robots" for spatially complex explorations under bridges, in slag bricks or in port installations. These ROVs (remote operated vehicles) can be equipped with either magnetic or electromagnetic sensors. This allows us to reach any distant corners under water, controlled from a ship. The recording of geophysical data is aided by cameras and Blue-View images, which also make it possible to visually inspect the area being investigated. 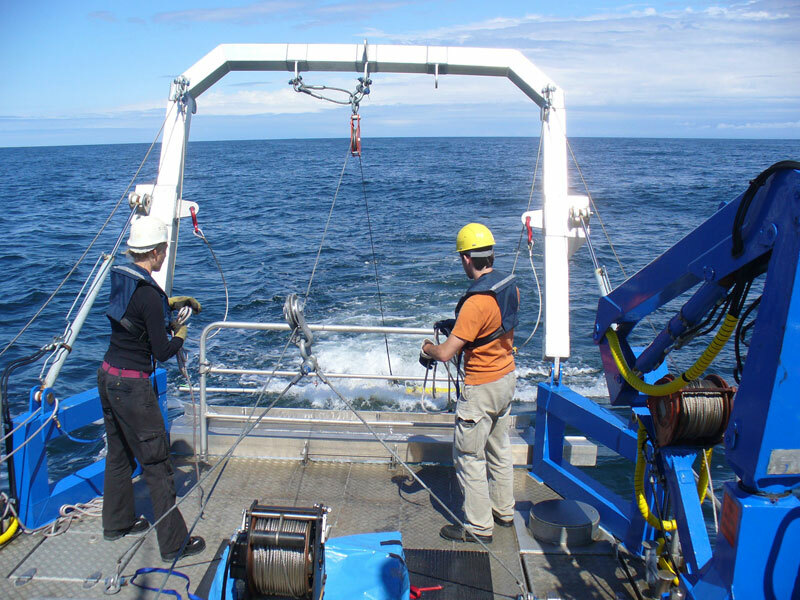 High-resolution magnetometers are used to locate ferromagnetic objects in the water. Possible UXOs can be identified in the magnetic data as deviations from the earth's magnetic field. These anomalies are assessed by experienced geophysicists in order to ensure the precise localisation of the detected objects. If there are external magnetic interferences in the investigated area, e.g. in the form of sheet piling or slag bricks, we rely on our electromagnetic processes for data collection that is being used for several years in the Hamburg port with great success. SeaTerra has several survey ships and boats, which are adapted to different water depths in terms of their construction. From canoes to dinghies and motor boats to large ships measuring 20 m in length, we can seamlessly explore at depths of 0.4 m – 20.0 m in inland waterways, lakes and neashore areas. The purpose of the different structures is to guide the sensors as close as possible along the seabed in order to collect high-resolution data as precisely as possible. SeaTerra has years of experience in projects carried out in the port of Hamburg, on the rivers Elbe, Rhein, Main and several lakes in Brandenburg.